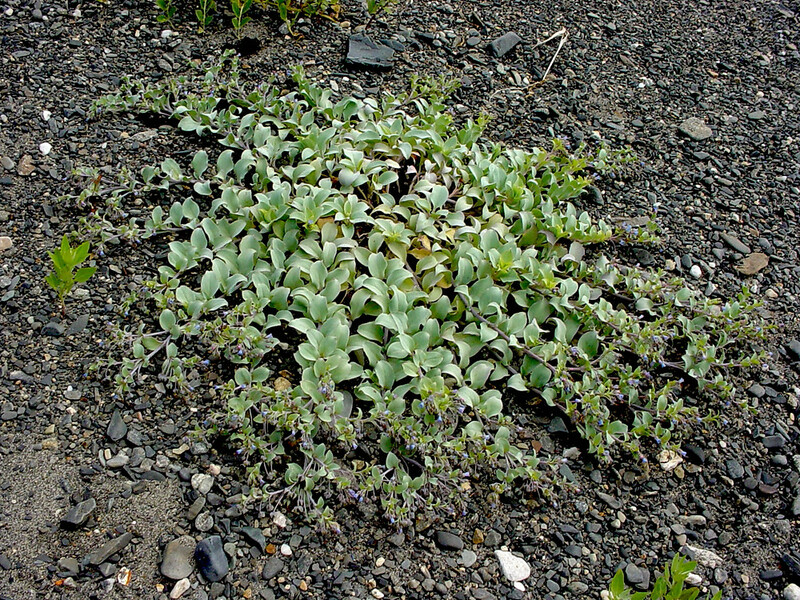 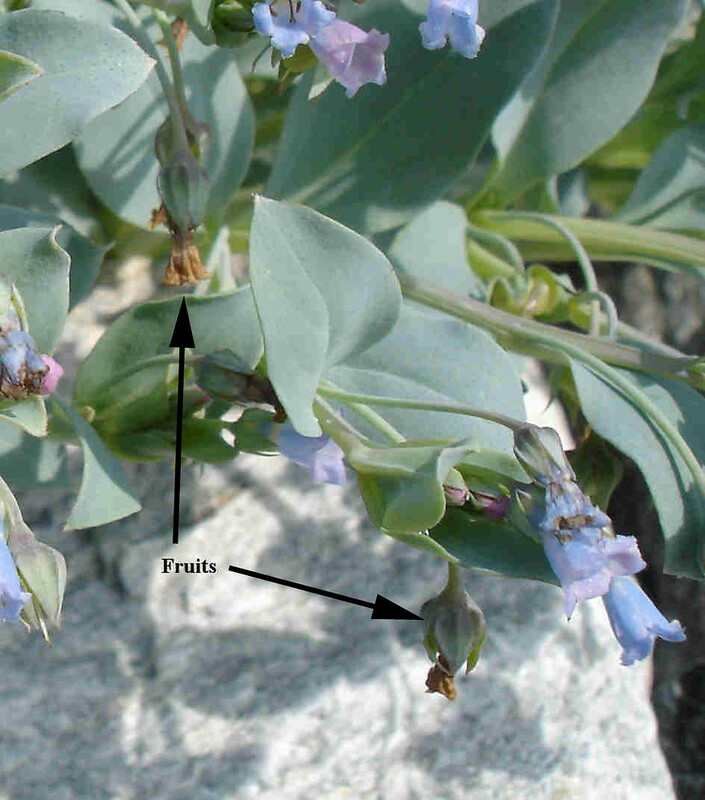 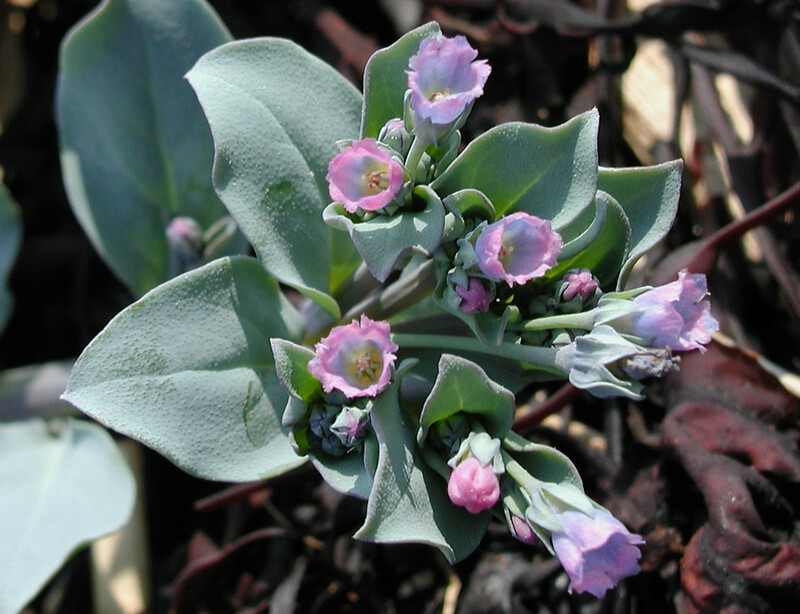 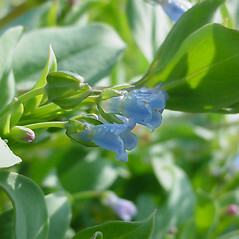 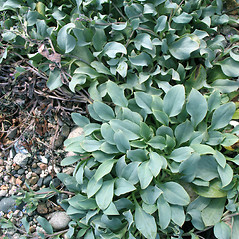 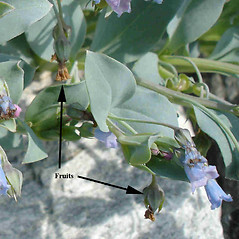 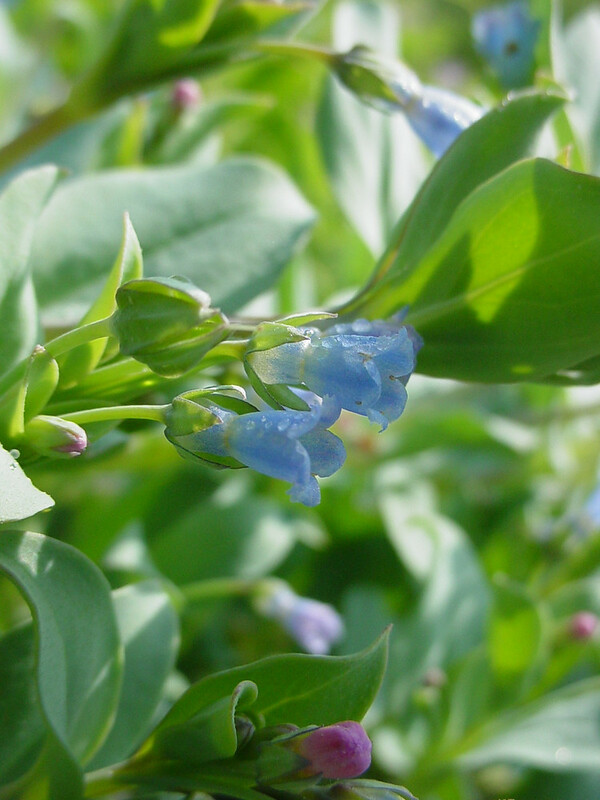 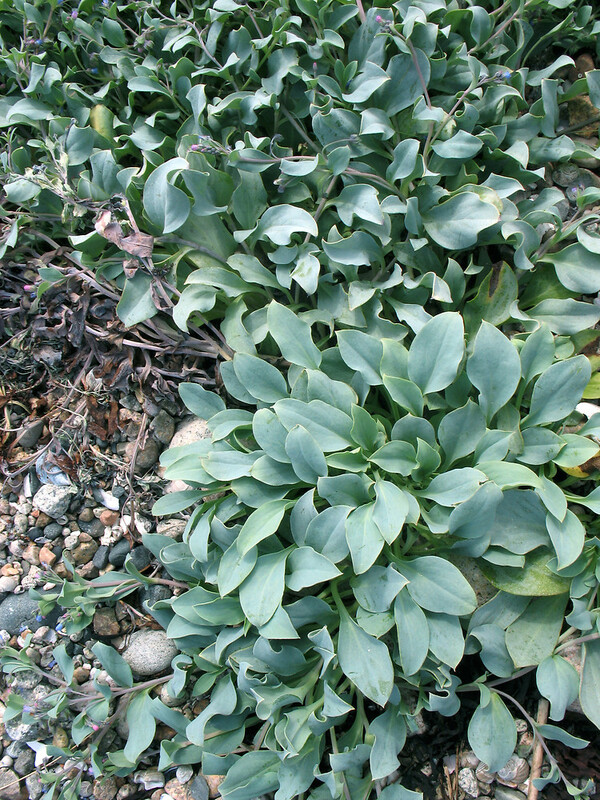 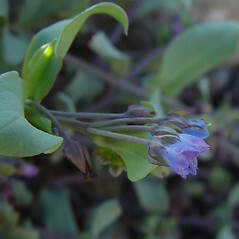 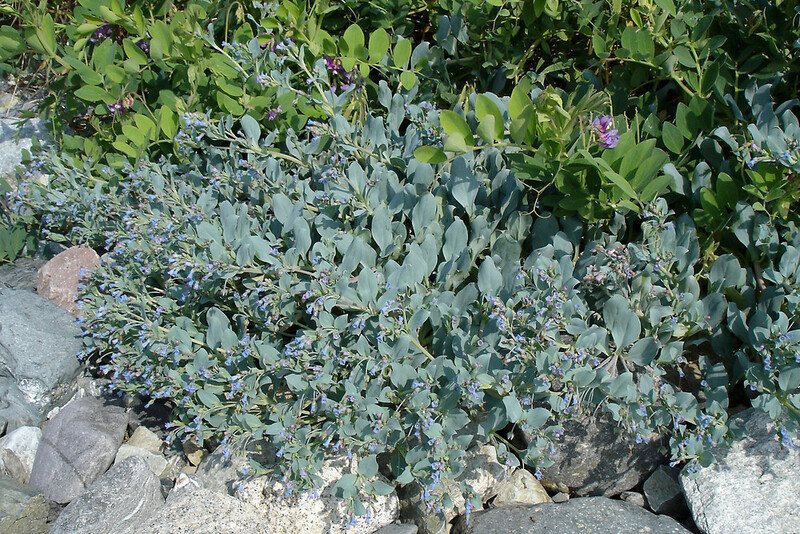 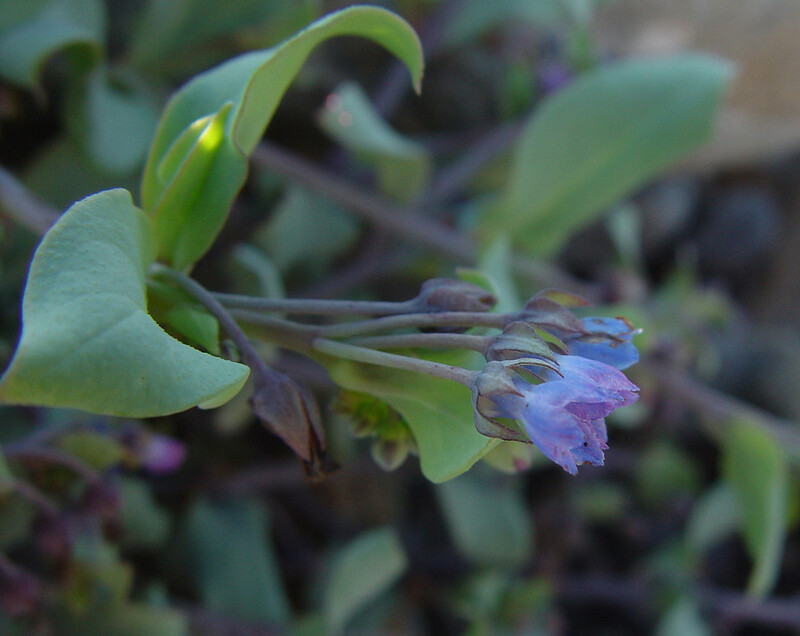 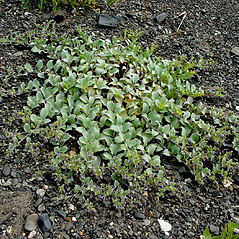 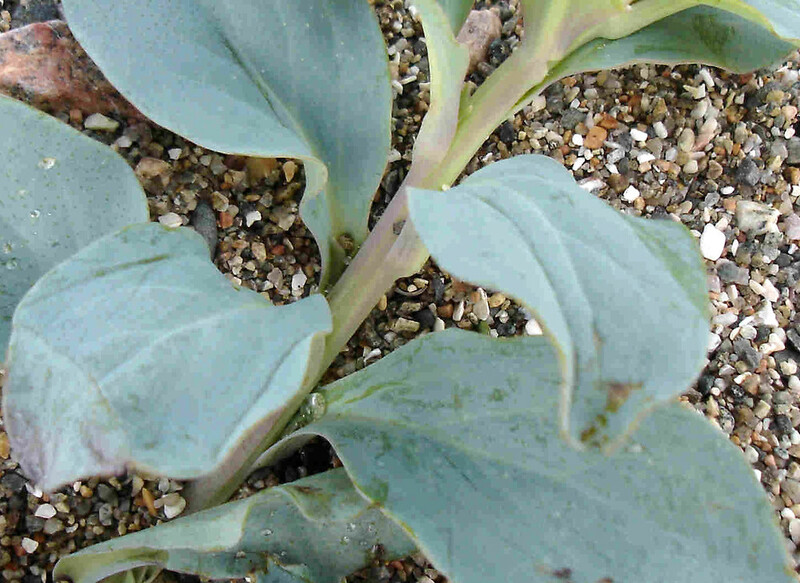 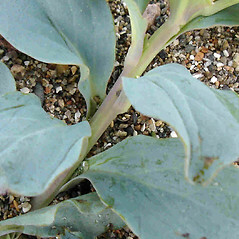 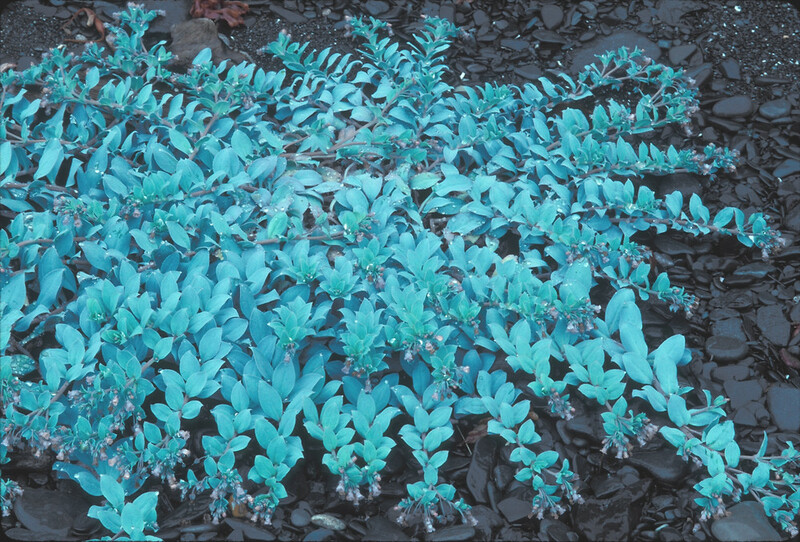 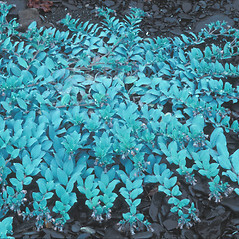 Our variety is Mertensia maritima (L.) S.F. 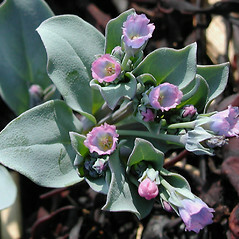 Gray var. 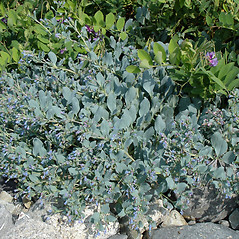 maritima. 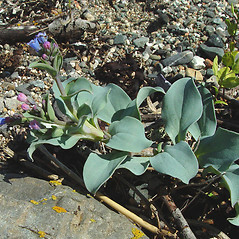 seaside bluebells. 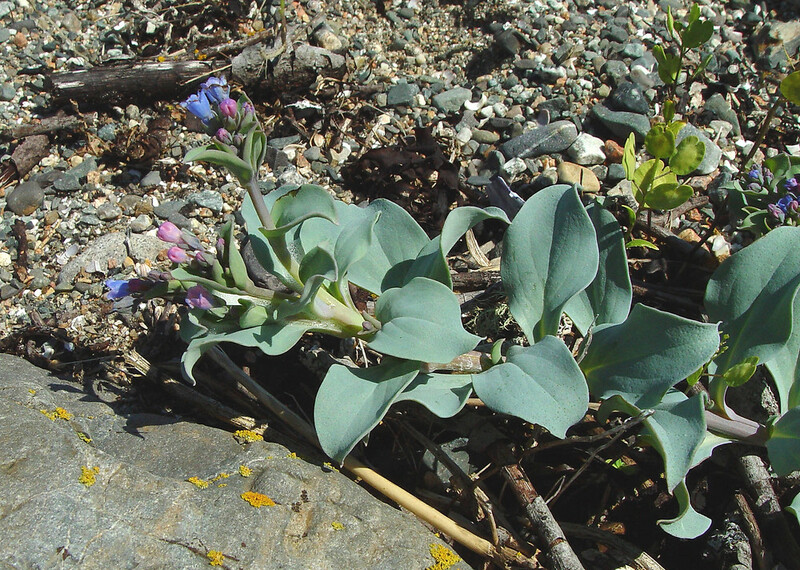 Pneumaria maritima (L.) Hill • MA, ME, NH; rare outside of eastern ME. 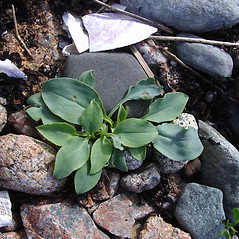 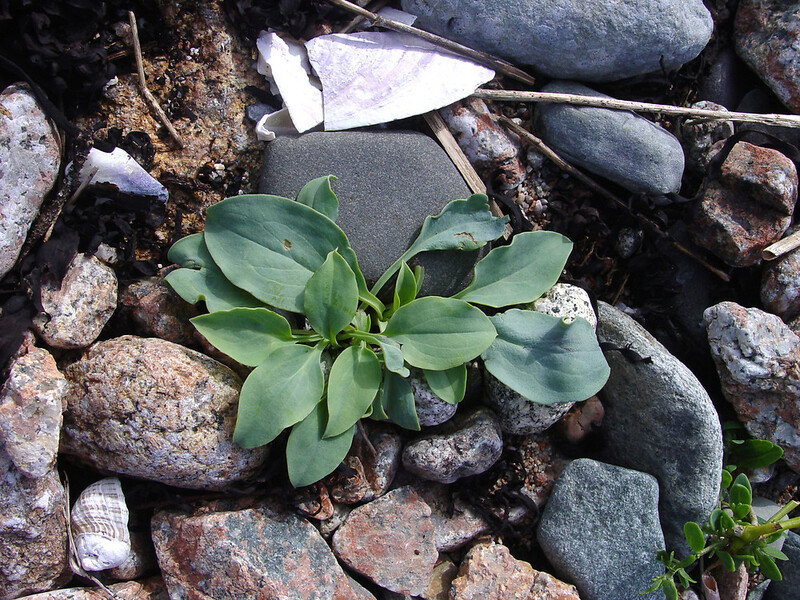 Atlantic coast beaches, often on cobble and gravel substrate.